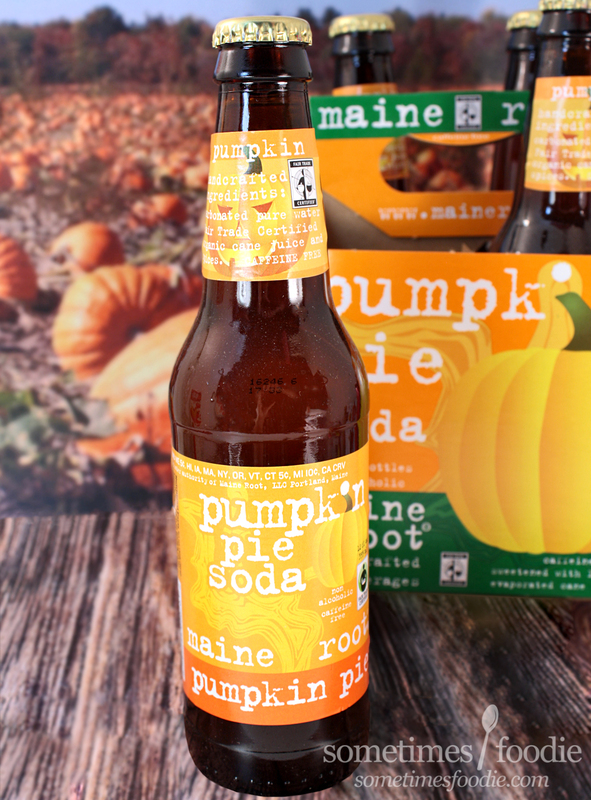 Maine Root isn't the only Pumpkin Pie soda on the block, and it's actually not the first one I've ever drank either. Years ago, back in the dark-ages of blogging when everyone was on Livejournal and Deadjournal, Jones Soda would release seasonal soda sets. There would be a Thanksgiving dinner set, with gravy, stuffing and other bizarre savory flavored sodas, and a pie set with different seasonal pie flavors. My mother bought the sets from Target so she and my sister and I could try every single flavor...but that was so long ago I can't remember how any of them tasted. 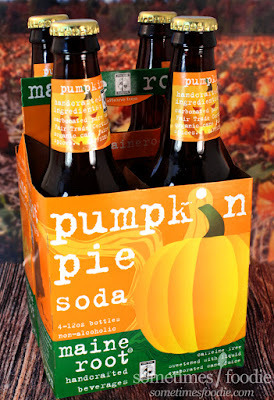 I have a clear warning-sign-of-a-memory saying Thanksgiving dinner is NOT a good idea for sodas, but the pumpkin pie ones were completely forgotten. Was it so bad I blanked it out? Or was it simply overshadowed by the horror that was stuffing-flavored-soda? 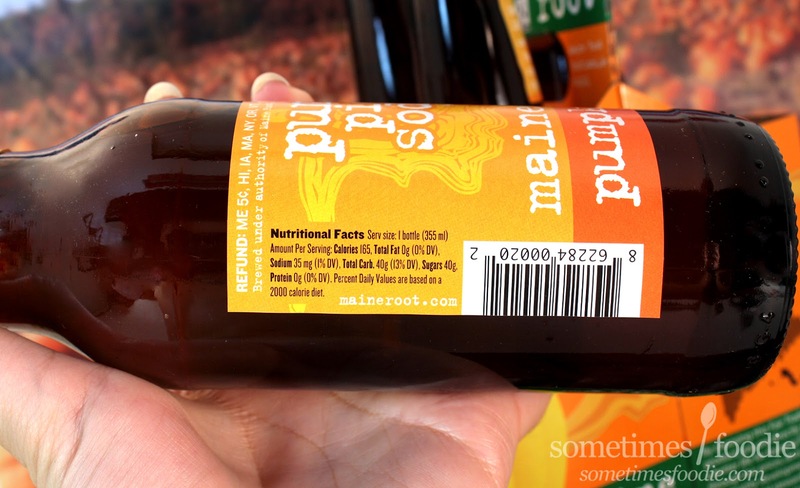 This four pack of soda comes with a cute cardboard carrier featuring some simple pumpkin illustrations and dark brown glass bottles. It's not as fun and whimsical as the Jone's soda packs I remember, but it functions well and made carrying these babies through the store a breeze. Now some of you might be saying, "Oh Maria (that's my name BTW), you're not a recluse. Look at these photos. You totally went outside today." Enough of me, not so subtly, patting myself on the back. Let's drink some soda! You need a bottle opener for these, which is always fun since most of my go-to beverages are twist-offs. Using my bottle opener that rarely sees any action makes this feel fancy and makes me feel like more of an adult, even if it's just so I can drink pie-flavored soda alone in my PJ's. I popped the cap off and gave this soda a sniff. Sadly, this smells pretty bland. I can smells cloves, ginger and maybe nutmeg, which is a nice break from all the pumpkin products drowning in cinnamon, but it kinda smells like spiced water. I poured some into a glass to get a better look. Oh wow, it's super bright orange! Like orange-soda-orange. I was expecting an amber beer color, but this is a soda alright. Taste time! I took a sip and...it's not awful, but it's still pretty darn bland. It's lightly carbonated, sweet, and a little spiced, kind of like an overly sweet pumpkin spiced seltzer. 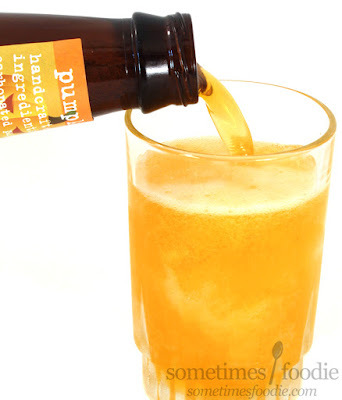 It's not bad at all, very drinkable, but I wouldn't sip on this and relate it to pumpkin pie. 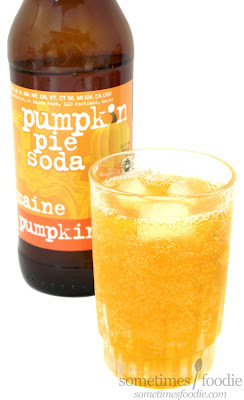 It's more like a watered down fall ginger-ale...without the ginger. Not really digging this, but that's because it's so bland. I was expecting this to have more of a POP or intense pumpkin pie flavoring, but pumpkin isn't even listed in the ingredients, so I should have known better. When it comes to fall tricks and treats, this one is a trick for me. On a Pumpkin Scale of 1-5 (5 being the most pumpkin-y) I’d give this a 2. Pleasant spice blend, and very drinkable, but bland as bland can be and I wish it was more carbonated. So the soda I expected to be good, was a bust...but how was the long anticipated Fox Rocky Horror remake? That's my actual mouth! I made these for a screening I hosted in college. I did a little write up and live tweeted my thoughts during last night's showing. Tiny bit of backstory before the review. 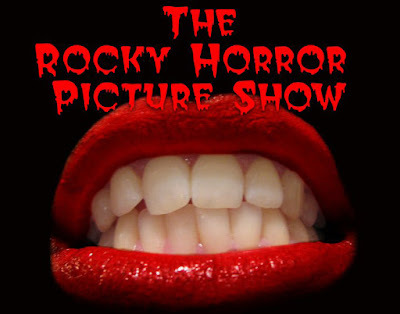 I've been watching Rocky Horror, the film version, since I was a child. My parents used to dress up and go to midnight showings, my family has the the original vinyl LP & a re-release and the CDs, we have the original red VHS cassette, the fan books, the trivia books, the action figures... We're HUGE fans, especially of the masterful Tim Curry and his performance in the 1975 film version. I even dressed up and hosted a Rocky Horror screening at my college campus. So to us, this production was kind of a big deal. Since the get-go I was against the idea of a made-for-TV remake, but when it was announced that Tim Curry was going to be the Criminologist, making a rare on-screen appearance since his stroke, we had to tune in just to see him. 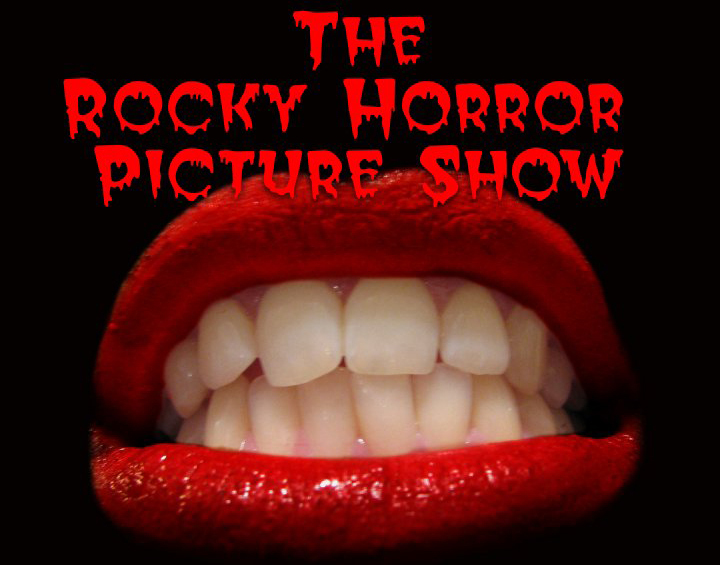 Don't get us wrong, we love seeing productions of Rocky Horror done locally, and we love Laverne Cox, but can a big budget, shiny, Fox-produced version airing at 8PM on a weeknight really capture the essence of Rocky Horror? Check out my full review over on my personal/art blog if you're interested.